Comments: Postcards kit, 110 x 155 mm. First edition, 1997. 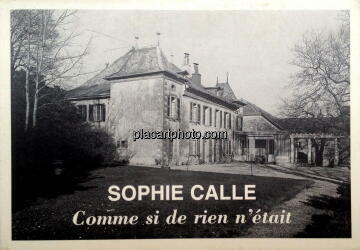 Published on the occasion of Sophie Calle's installation art at Fondation Ledig-Rowohlt. Copy in very good condition. 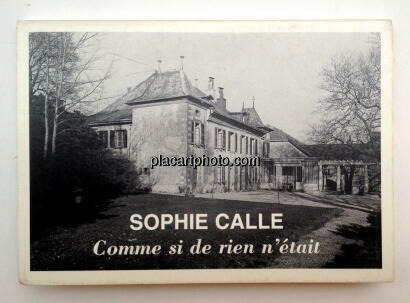 This artist’s book is the result of Sophie Calle appropriating the Ledig-Rowohlt’s Fondation on their property, the Château Lavigny. Sophie Calle appropriates every single object owned by the Ledig-Rowohlt’s to tell a story of her own.